USD’s accomplished team of engineers is knowledgeable in a wide variety of disciplines. These include electronic, mechanical, electromechanical, microwave, digital, analog, as well as a focused strength in radio frequency engineering. USD regularly provides high quality solutions to meet challenging and often customized requirements, and supports customers on projects others cannot complete. Their fully integrated 85,000 square foot facility in New York allows for all aspects of a program to be supported on site — from design through shipping. 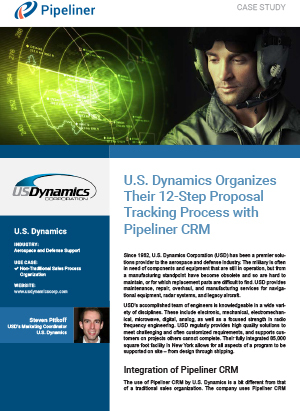 The use of Pipeliner CRM by U.S. Dynamics is a bit different from that of a traditional sales organization. The company uses Pipeliner CRM to inform the company’s proposals process. After a Request For Quote (RFQ) is generated and USD is ready to move forward with a proposal, all the line items for a particular RFQ are imported from the company’s Access database into Pipeliner CRM. Each line item is displayed in the same way as, traditionally, a sales Opportunity would be displayed. 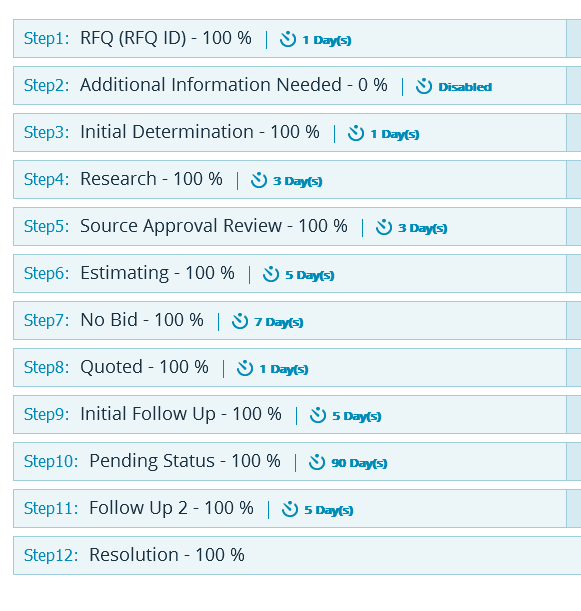 Each RFQ is entered into Pipeliner CRM as an “account” so that each line item is associated with its RFQ. The Pipeliner sales and technical support team assisted Pitkoff in customizing Pipeliner for USD’s particular use. Pipeliner CRM was a perfect fit for USD’s proposal process.